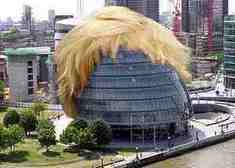 What the London Mayoral selection short-list tells us. And what the successful candidate should do. Our third ‘picks’. Already picked are our Backbenchers and Frontbenchers of 2008. Jonathan Isaby’s pick: "Unable to choose between them, I have picked two moments of the year – both of which I was privileged to witness at first hand. Firstly, there was the victory for Boris Johnson at the London mayoral election at the beginning of May. He reclaimed the capital for the Conservative Party, confounding all those who thought that Ken Livingstone was unbeatable, and I thought it was such a good story that I wrote a book about it! My other moment, just three weeks later, was another historic Conservative election win. Edward Timpson’s gaining of Crewe and Nantwich – marked the first Tory gain at a by-election since I was in nappies and showed just how vulnerable Labour had become. As David Cameron declared in Crewe’s Market Square the following morning, New Labour died on the streets of Crewe and Nantwich." (Picture credit: News Biscuit). 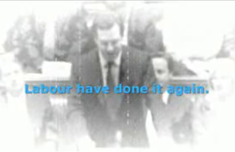 Tim Montgomerie’s pick: "My moment was the one hundred and eighteen billion pound moment. The moment that Alistair Darling told the House of Commons that Britain was up to its neck in Labour’s debts (and would be for years to come). George Osborne’s response to Mr Darling’s PBR announcement was outstanding and was ‘remixed’ by ToryBear in this terrific YouTube. George’s ‘Labour didn’t fix the roof while the sun was shining’ soundbite doesn’t capture half of the outrage we should feel at what Labour has done to Britain. In years of economic plenty – years we may not see again for a long, long time – we saw dependency increase dramatically. The public services and welfare went unreformed. Our energy and transport infrastructure went unrenewed. Many years of very tough decisions lie ahead because of the Brown-Blair years of spin and squander. Brown deserves a trouncing at the next election."